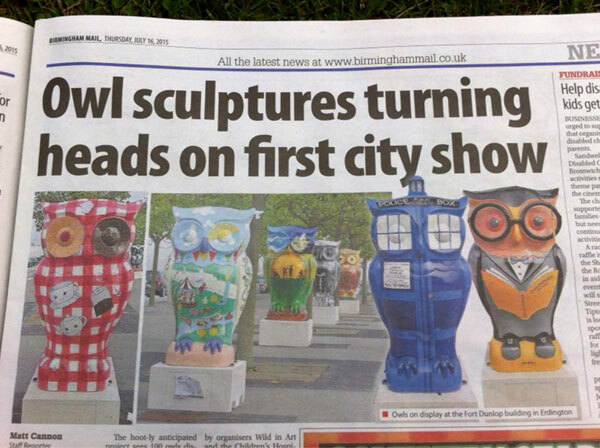 My owl Tea T-Owl (left) for The Big Hoot 2015 in Birmingham. Read my blog post about it here, and watch a speed painting video! Thank you to Milan Topalović for the photo.